Ophthalmic Surgical Microscopes – Optofine Instruments Pvt. Ltd. The opto fine bliss ophthal with its crisp sharp and multi layer coated optics gives surgeon natural colour, out standing depth of focous and higher contrast for maximum details recognition. The halogen illumination sustem alloes surgeon tosee sharp image even at low light levels.and provides astable red reflex. 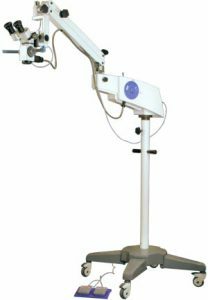 We are Manufacturer, Supplier, Exporter of Ophthalmic Surgical Microscopes and our setup is situated in Sangli, Maharashtra, India. Sparp 3 - D images can be observed with high fidelity and depth. 0* coaxial illumination systems for clear red refex. A smooth drum selector offers choice of live difframt imagnification lens settings to suit any observation of microsurgery requirements. 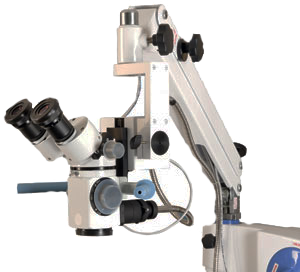 State of the art balancing arm mechanism extending up ti maximum stroke of 400 mm, counter balance the weights of microscope with mountings and accessories. Single knob operating for emergency swith over to stand by light by source. Field of view Dia 49 mm to Dia 8 mm. Interpupil Adjustment 50 mm to Dia 75 mm. Illumination: Light Intensity 1,00,000 Lux. Power consumption 175 Watts max. Note : Beam Splitter is necessary when either camera attachment of monocular demonstration tube attached. Illumination: Light Intensity 80,000 LUX max.